The endometrium or the tissues present in the uterine lines, growing outside of the uterus is termed as endometriosis. The development of endometriosis negatively affects female reproductive organs including ovaries, fallopian tubes and causes difficulty in conceiving. However, it is not necessary that every woman having endometriosis become infertile. The severity of the condition and age of the women are two important factors which create fertility problems. The fibroid is another reproductive disease condition that interferes with conceiving. A fibroid can be defined as the formation of a non-cancerous tumor in the uterus. Conceiving problem usually occurs with the increased size of fibroids. A surgical intervention like laparoscopic surgery for removal of endometriosis and myomectomy for fibroid removal can be recommended by doctors in case of large-sized painful fibroids. These surgical interventions do not remove female reproductive organs and allow the patient to retain her fertility. However, hormone treatment can also be prescribed for treating both endometriosis and fibroid conditions. But, the side effects of hormone treatment often causes premature menopause and restricts pregnancy. Research data shows that super-ovulation and intrauterine insemination treatment option is usually successful for young aged female patients having mild to moderate endometriosis with normal ovulatory cycles. Therefore, reproductive experts usually not recommended this treatment option for the patients above the age group of 39 years. In vitro fertilization (IVF) can be a solution for females with more than 40 years of age. Older aged patients who are 40 years or above usually have reduced ovarian reserve. IVF–ICSI (In vitro fertilization – Intracytoplasmic sperm injection) technique is usually recommended for successful conception. 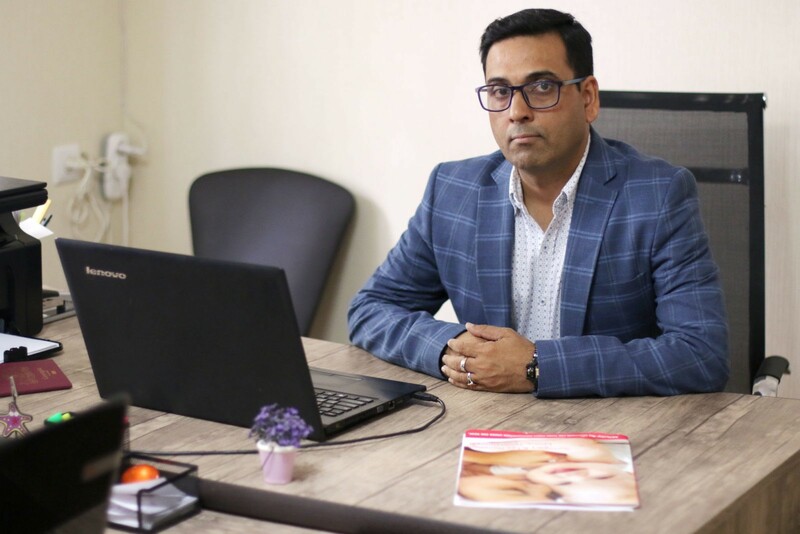 IVF with ICSI can be directly conducted in case of small-sized fibroid or mild to moderate endometriosis, as surgical excision does not offer any added benefits in older aged patients. However, difficulty in transvaginal oocyte retrieval or difficulty in access of ovary can occur with largely sized fibroids or severe endometriosis condition. The consequence of this hinders IVF process and clinician faces difficulty in conduction. In such cases, surgical interventions prior to IVF is specifically recommended as a corrective action in patients of 40 years or above having large fibroids or severe endometriosis. It has been found a genetic test may help in completing the IVF process successfully. This entry was posted in IVF, Pregnancy and tagged endometriosis and fibroids, pregnancy after 40. Bookmark the permalink. ← Gestational and Traditional Surrogacy : Which one is the best?